Model T Ford Forum: Guess 'Whooo' flew in to watch the Packers at our house? 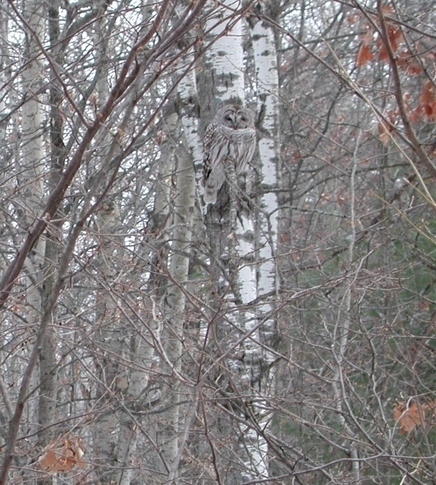 Guess 'Whooo' flew in to watch the Packers at our house? Model T Ford Forum: Forum 2014: Guess 'Whooo' flew in to watch the Packers at our house? Nice photo. I guess that is natural camouflage. Barred owls are so cool! Better buy him a Packer's jersey though. If you think the Owl's cool if Green Bay is lucky enough to get thru the playoffs and get to Seattle, we will have a live Seahawk fly out of the tunnel to its handler. Now that's a real bird, with damn near 3 foot wingspan. It's funny how others look to 'raid' Green Bay and Wisconsin. 1st Holmgren to Seattle, now GM Anderson, OC Bevell and QB Wilson; GM Dorsey in KC, Reid,'Mooch' & even Gruden were Favre's QB coaches; GM McKenzie in Oakland; NFL's Andrew Brandt... Could go on, but 13 Championships (only franchise with 3 in-a-row, twice yet!) speaks for itself. And why is it that it's called "The Lombardi Trophy"??? 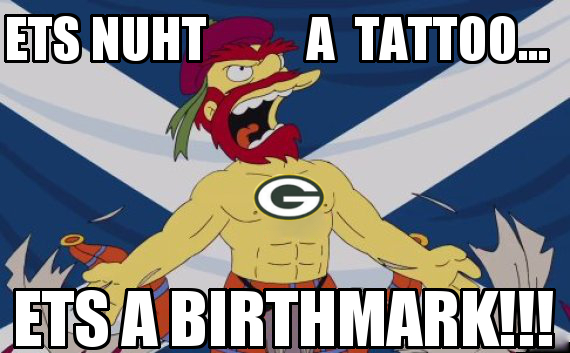 If you could, find a 'Seahawks' pub in Green Bay for your games...? I've found 'Packers' pubs in Seattle & Tacoma! Haven't been to C-link, but the Kingdome was an atrocity. Yet, 'Lambeau' resides on many people's bucket list to visit. The Packers' Hall of Fame is larger and more extensive than what's found in Canton. 2014 marks six straight seasons to participate in the playoffs. Season' tickets? There are 70,000 ahead of you IF you get on the list NOW! Check the records. Founded in 1921, and still in the same city! Even the NFLPA was founded just down the road in Neenah, WI. BTW, Who's the MVP??? There are 360,584 owners, and they're world-wide! "Just the facts... Just the facts." Justsayin. Maybe there is still a reason why they hafta play the game? Even forgot about our former OC Joe Philbin down in Miami, now asked to 'bring the Dolphins back' as their Head Coach. I love the superbowl. No crowds in stores, no traffic, no one needing help. I get to work on and drive my T in peace and quiet at least for a few hours. Same here, Bill. We used to go flying, as there was very little traffic over SoCalif during those hours. I am wearing my new OREGON sweats in prep for tomorrow. Wifey has accepted dementia as my reason for becoming a spectator. I attended 3 different universities, but not Oregon, as I could not support myself and go there, even though it was only a few miles from my parents' home. I'm with you, Bill. I was telling my wife yesterday how lucky she was that I was not a sports fan like my brother-in-law. She enjoys the antique car hobby with me. We just got back from a 3 day trip to the mountains in HER '67 Mustang. I told her that I can't see how guys like my brother-in-law would ever find time to own and drive antique cars and motorcycles. Yahbut, ya miss those good commercials!